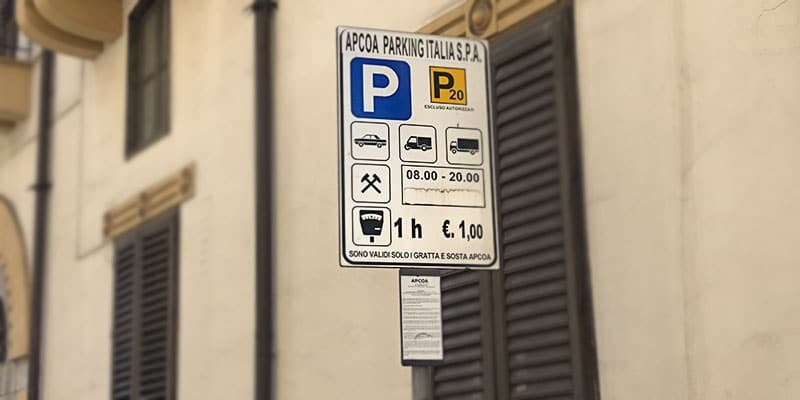 In this article old Don Tano is going to give a few simple rules about car parking in Palermo. Every old city has its dark mysteries, mysteries that tourists love to investigate when they arrive for a visit. 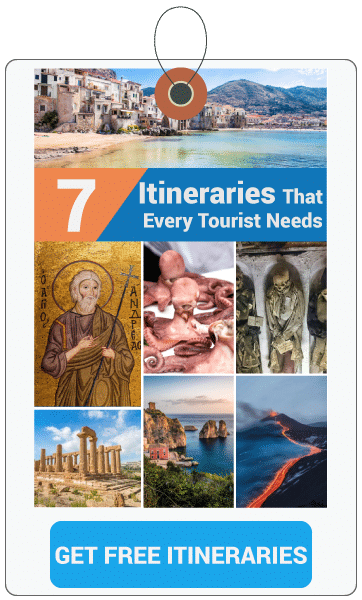 Palermo too has its mysteries, and now old Don Tano is going to tell you about one of Italy’s darkest mysteries, a mystery that keeps tourists and natives alike scratching their heads in frustration. What is this dark mystery? Well, the big mystery may sound silly, but it’s still a mystery. Yes, I am not kidding when I tell you that parking a vehicle in Palermo is so mysterious that even the locals can’t solve this riddle. As with a great many aspects of our fair city, vehicle parking is not well regulated and the anarchistic instinct of our locals is of no help at all when it comes to finding a parking spot. People have been known to stop in the middle of a street, leap out and scream loudly while shaking their hands in anger and frustration at some other driver who managed to slip in ahead of them and secure a tight parking space. Fortunately, this seldom leads to violence. Okay, I’m not gonna write a book filled with long boring sentences to detail the enigmatic car parking system we have here in Sicily. I’m just gonna give you a few simple rules so that you can avoid a fine or worse: have your vehicle damaged or towed. As a general rule, there are three spots where you may park throughout the entire city. A blue line along the curbing can be one. These are managed privately by local companies and they cover nearly eighty per cent of the best spaces in the most important neighborhoods. If you choose to park in a blue line area, you must immediately purchase a ticket that is available in tobacco shops. A one-hour ticket costs about 1€. When you see curbing with white lines you know this means free parking. Unfortunately, these are frequently difficult for the driver to see because many of the white lines have faded. Sidewalks with no lines may have posted a blue “P” sign. This means parking and you’re free to park along there without paying even though there are no white lines. You can park in a garage. These are to be found everywhere around Palermo. Most offer decent day rates for all-day parking. Any shop with “Lasciare libero lo scarrozzo” on the shutters. This simply tells you not to park there. Usually, that isn’t exactly a legal notice, but it’s still better not to ignore those notices. You could come back to see that your car has been vandalized. No Parking signs. When you see a No Parking sign don’t challenge fate. Usually, just for you, the police are waiting around the corner. Curb strips painted yellow. The yellow means these spots are reserved for disabled people. If you’re legally disabled and can prove it, you may safely park there. ZTL is every Sicilian’s nightmare. ZTL is a restricted traffic area in Italy. In Palermo, it helps protect the historic city center from excessive vehicle traffic in an effort to reduce pollution. This restriction is in effect from 8am to 8pm, Monday through Friday, and on Saturdays from 8am to 3pm. Sundays and public holidays present no restrictions and you can circulate about the city center at will. As in most of the world these days, the area is monitored by cameras and if you’re caught in violation you risk getting a serious 150€ fine. Here is a map showing you the boundaries of the ZTL. Most reputable rental cars companies have their vehicles authorized to circulate freely within the ZTL areas. If you bring your car in from abroad, you’ll want to buy a daily pass during your stay. These can be picked up at tobacco shops and newsstands all around the city. Your passes can be activated by text message and cost 5€ a day. You must make certain to keep your ticket visibly exposed behind the windshield. This daily pass, however, allows you to park free in the blue-lines parking zones within the ZTL areas. If you’ve read my little guide about the best parts of Palermo for tourists to stay, then you know that I recommend the Politeama Area (downtown) for three good reasons. You won’t have to deal with the traffic you’re likely to encounter in Old Town and you also out of the tiresome ZTL area. You’re still within walking distance to the major monuments of Old Town and if you’re tired, you can take a bus. The downtown area has paid as well as free parking in this much safer part of Palermo where the crime rate is very low. I always try to give you the information you may need in the hope that I can make your visit not only memorable but pleasant. If you have any questions or comments, just drop Old Don Tano a note and he’ll be more than happy to answer as quickly as possible.